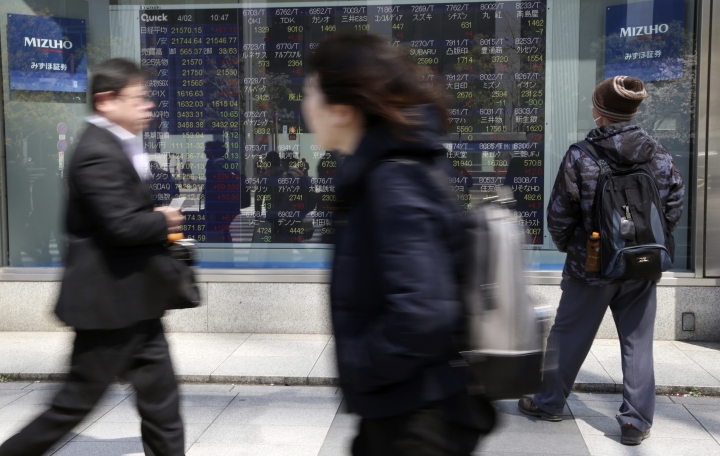 BEIJING — Global stocks mostly rose on Tuesday for a third day of gains, powered by encouraging economic data and in spite of ongoing uncertainty over Britain's departure from the European Union. 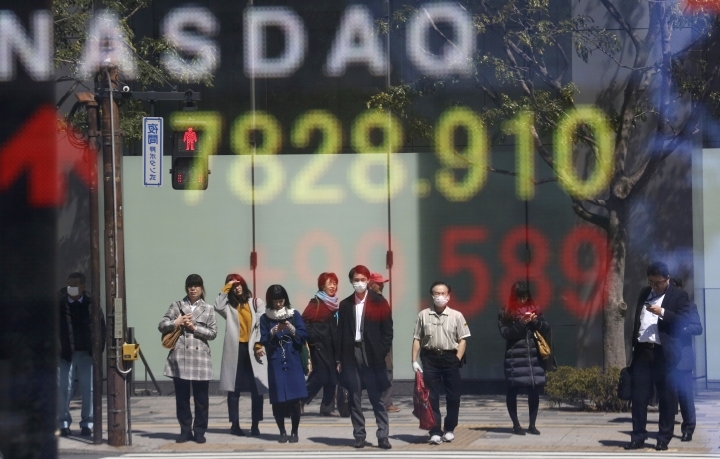 European shares edged up, with Britain's FTSE 100 leading the way, gaining more than 0.9% to 7,382. Germany's DAX rose more than 0.5% percent to 11,745. The CAC40 in France picked up 0.4% to 5,428. On Wall Street, the future contracts for the Dow Jones Industrial Average and the S&P 500 looked headed for a steady open. Investors appear to still be encouraged by unexpectedly strong manufacturing data from China and the United States over the past few days. Long-term bond yields rose above their recent lows, following a sharp drop last month that flashed a possible recession warning, rattling stock markets. A better U.S. and Chinese manufacturing outlook "helped ease concerns about slowing global economic growth," Hussein Sayed of FXTM said in a report. "However, it's still too early to conclude that the U.S. economy has made a U-turn," said Sayed, pointing to weak retail sales. "It's necessary to see an improvement in spending habits to indicate that momentum has started to build up." Investors seemed to brush off the World Trade Organization's decision to cut its forecast for trade growth this year. The WTO cut its trade growth forecast by more than a percentage point, to 2.6%, due to an economic slowdown and a still unresolved trade dispute between the United States and China. 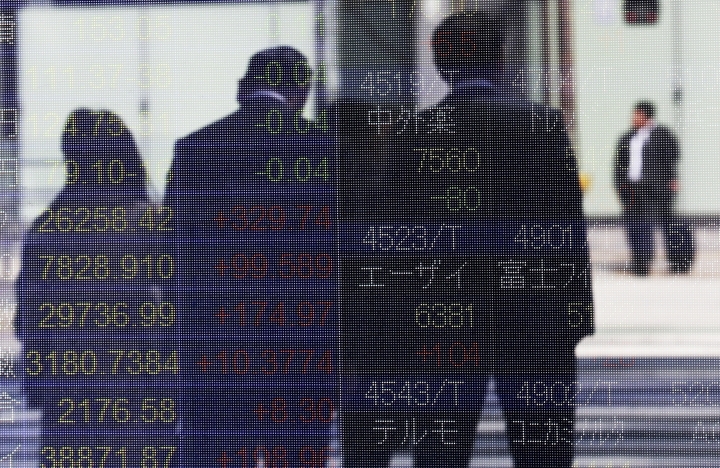 The Shanghai Composite index rose 0.2% to 3,176.82 points and Hong Kong's Hang Seng gained 0.2% to 29,624.67. 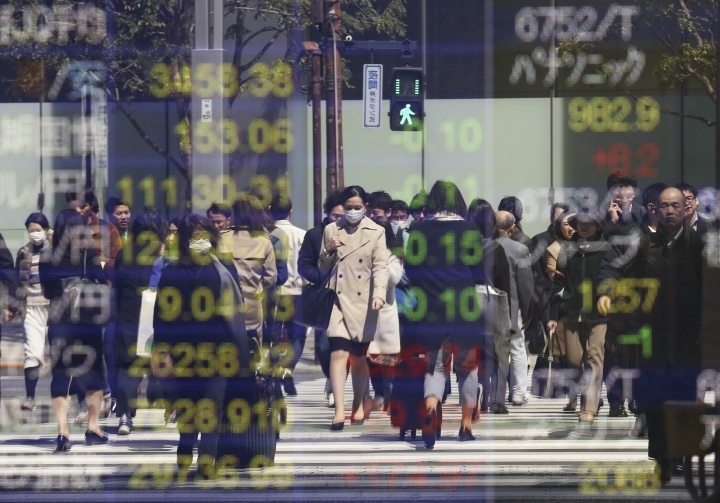 Tokyo's Nikkei 225 was flat at 21,505.31 and Seoul's Kospi advanced 0.4% to 2,177.18. Sydney's S&P-ASX 200 added 0.4% to 6,242.40 and India's Sensex was 0.3% higher at 39,005.70. Benchmarks in Taiwan, New Zealand and Southeast Asia also rose. The yield on the 10-year U.S. Treasury note rose sharply to 2.47% from 2.41% on Friday. It also rose back above the yield on the three-month Treasury bill. That reverses an inversion in yields that alarmed investors last month. Such a change has preceded recessions in the past. Meanwhile, British legislators rejected four proposed alternatives to Britain's separation from the European Union that would have softened or halted the departure. With less than 2 weeks until the U.K. must come up with a new plan or crash out of the trade bloc in chaos, the British parliament threw out options designed to replace Prime Minister Theresa May's thrice-rejected deal. The result leaves May with difficult choices including calling a possible early election to shake up Parliament. "Yesterday's defeat increased the probability of a no-Brexit deal," said Sayed of FXTM. ENERGY: Benchmark U.S. crude picked up 32 cents to $61.91 per barrel in electronic trading on the New York Mercantile Exchange. The contract surged $1.45 on Monday to close at $61.59. Brent crude, used to price international oils, was flat at $69.01 per barrel in London after gaining $1.43 the previous session. CURRENCY: The dollar was holding at 111.35 yen, while the euro declined to $1.1204 from $1.1213.